Oluv's Gadgets: Infinity One - the better Pill XL? Harman Kardon which meanwhile owns some known audio brands like AKG, JBL, Lexicon, Mark Levinson and Revel will now also launch new products for their Infinity brand, one of them being the Infinity One Bluetooth speaker. 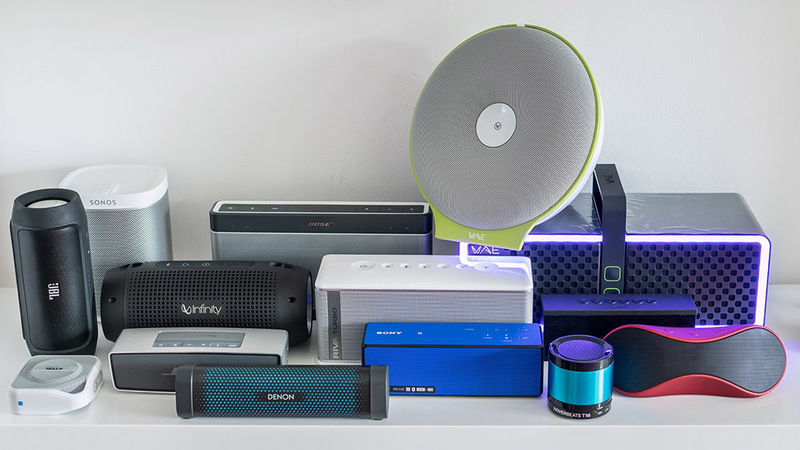 It is probably no coincidence that the Infinity One looks like a blown up JBL Charge 2, which was also just launched. Similar to the new JBL Charge 2 the Infinity One also houses 2 opposing passive radiators, one at each end. 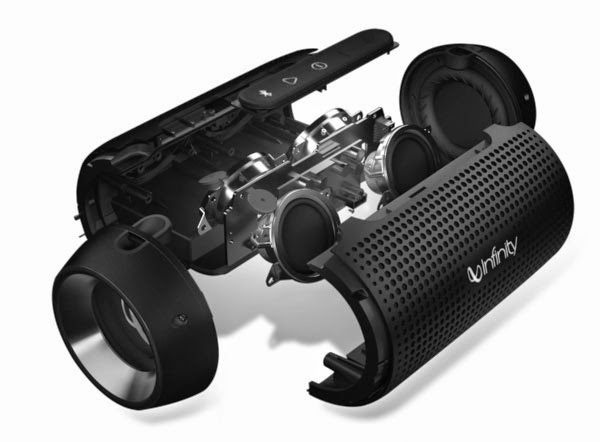 And the drivers face forwards and backwards, making the speaker emit sound to the front and back with bass to the sides. This is not a fully omnidirectional approach, but pretty close and could sound quite convincing when put somewhere in the center of a listening circle. The Infinity One is quite large already, making it rather comparable to the Beats Pill XL, than to smaller speakers like the Soundlink Mini. But it is 10cm shorter than the Pill XL and slightly slimmer and lighter overall, weighting "only" 1.3kg. What we also know is that the Infinity One won't be able to reach the same impressive loudness of the Pill XL, which is a pity, because Brent measured 102dB for the Pill XL, while the Infinity One only reached 93dB, which is nearly half as loud and thus not much louder than most other current portable speakers like the Soundlink III, TDK A33 etc. The Pill XL will probably still remain the "king of loudness", however with a less than ideal sound. There's no word about availabiltiy yet, but as the first test-samples are already out, I guess it should be issued during the next weeks. It is already available for preorder on the Infinity site. Thanks to a friend, I was finally able to test the Infinity One, you can find my final review here.